Grimshaw will open its studio doors to the public to discuss the practice’s work on the Dubai Expo Sustainability Pavilion as well as other exciting global projects. Grimshaw will open its doors to the public to showcase the studio’s work from around the globe while offering an insight into practice life. 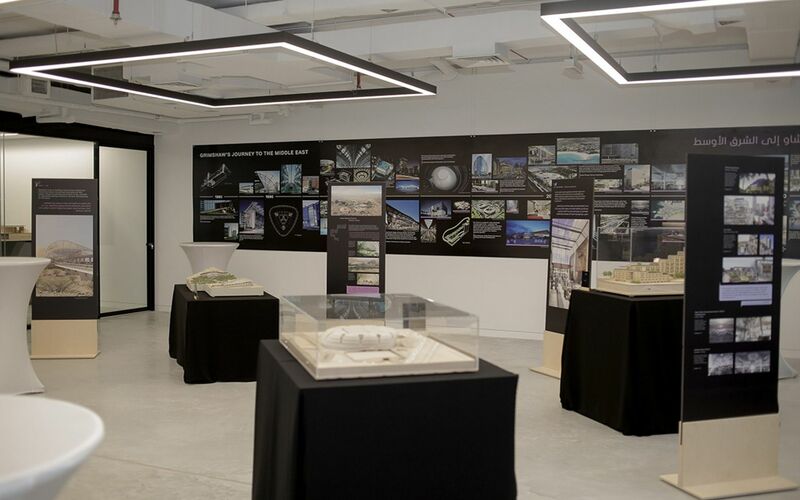 Architects will be on hand to discuss work on the Dubai Expo Sustainability Pavilion as well as other exciting projects in the Gulf region and beyond. Virtual reality demonstrations will offer attendees a unique perspective on various projects. Grimshaw is an award-winning, international architectural practice with offices in Los Angeles, New York, London, Doha, Dubai, Kuala Lumpur, Melbourne and Sydney employing over 600 staff. The practice’s international portfolio covers all major sectors and has been honoured with over 200 international design awards including the prestigious Lubetkin Prize. Grimshaw is dedicated to the deepest level of involvement in the design of its buildings in order to deliver projects which meet the highest possible standards of excellence. The company’s work is characterised by strong conceptual legibility, innovation and a rigorous approach to detailing, all underpinned by the principles of humane, enduring and sustainable design. Current Middle East projects include: Oman Botanic Garden, Sharjah Botanic Garden and Dubai Expo 2020 Sustainability Pavilion.